Francis Falceto is the creator of the 21-volume, and growing, Ethiopiques CD series on Buda Music. 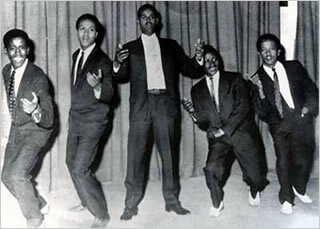 The series gives the most complete picture available of modern Ethiopian music, specializing in the highly productive era of the late 60s and early 70s in Addis, on the eve of the 1974 revolution that ended the long regime of Haile Selassie and launched the 18-year, socialist-military regime known as the Dergue. Ethiopiques includes some traditional music, and some music created since the end of the Dergue in 1991, but it’s great strength is its careful documentation of the extraordinarily creative years leading up to the revolution. 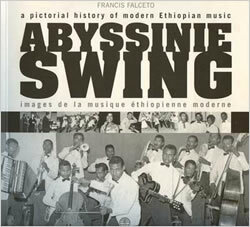 Francis Falceto is also the author of a beautiful book, Abyssinie Swing: A Pictorial History of Modern Ethiopian Music (Shama Books). Banning Eyre met Francis in New York in 2005. Here is part one of their conversation, a companion to the Afropop Worldwide, Hip Deep program, Ethiopia—Empire and Revolution. The black and white photographs here come from Abyssinie Swing. Click here for Part 2 of this interivew, Ethiopia: Diaspora and Return. B.E: 97? So there were quite some years between that moment of discovery and the actual beginning of the series. F.F: It was released in 86 in Europe and in America. It got good reviews In the New York Times, John Pareles wrote a beautiful article about the LP. It was praised as one of the five or ten best world music albums of the year. F.F: ’97, yes. But in the meantime, by ’90, I had recorded in Paris and released two CDs: one with Alèmayèhu Eshèté and another with Netsanet Mèllèssè, two brilliant, famous singers with the Walias Band. We were still under the Dergue time. It had been possible to invite them to Europe, but the full band could not come. They did not allow the guitarist or the saxophonist to leave Ethiopia. You used to need an exit visa to leave your country. Can you believe it? It was quite a hard time to complete these recordings: I had to work with some French saxophonists and guitarists to play the guitar and horn lines. And in ‘94, came the second release of golden oldies. That was the first edition of Ethiopian Groove. By the way, it’s in early 94 when the CD was released, a collection of oldies from Kaifa Records, the label belonging to a famous producer Ali Tango. What a beautiful name! So before I started the Éthiopiques series in ’97. There were these four releases in the meantime. B.E: Let’s talk about Ethiopian history. Tell us what led up to this very fertile environment of the late ‘60s and early ‘70s. F.F: In general, all of us are very ignorant about this country, because we are living through clichés that have been here for more than 20 years. We imagine this country as a kind of desert where everybody is dying of famine and hunger. One thing to understand, first of all, is Ethiopia is a highland country. It’s as large as France and Spain together, with 60 million inhabitants, a huge country. Two thirds of it is over 2000 meters in altitude. It’s a green country in fact. And, historically, we need to note that it is the only African country to have been independent for 3000 years. OK, they were invaded by fascist Italians in 1935, but this ended in 1941, so it’s a very short period of non-independence. But the country has existed for 3000 years. F.F: It was not exactly. 2000 years before, it had not exactly the same borders as today. But basically what’s made the unity of Ethiopia is the altitude, the highlands. It’s a kind of natural fortress from which you can defend against invaders. Another historic point that is very important, which gives a deep identity to this country and this culture, is that they were Christian before us, before France, before Hungary, before Russia, before England. From the early 4th century, meaning more than 1600 years before, they were Christianized. They are still nowadays Christian Orthodox. So it’s a kind of backbone for the culture of this country. This is very, very, very important. F.F: Of Course. In the 19th century, most of Africa was colonized by the French, English, Portugese, and Germans—except Ethiopia. Italy had decided also to have a colonial empire, and little by little, Italy installed some ports on the coast of the Red Sea, in the northeast of Ethiopia. Actually, nowadays it has become Eritrea. Then little by little, they started to go inland from the coast. In 1896, Italy tried to conquer Ethiopia militarily. But what happened, and this is another unique thing in African history, the army of the Emperor Menelik completely defeated the Italians. This was something that made a big noise all over the world. And right after this incredible victory of an African country, an African king over a colonial country, many delegations, many ambassadors from Russia, from France, from England, even from the US, came to visit Menelik in 1897, ’98, 1900. “Who is this king that can resist the Europeans?” And that started the first modern meeting between Western countries and Ethiopia. I have to say, then, that during the Fascist invasion of the Italians in the late ‘30s when Haile Selassie, who was in exile in England, came back with the support of the British, England tried to colonize Ethiopia. In fact, if you look at a map of colonization in Africa, from Cairo to Cape Town, it was just Ethiopia who was missing to be complete and perfect for British colonization. They had everything, from the Sudan, Kenya, Uganda, Zimbabwe, and almost South Africa. F.F: By ’41 it was over. F.F: In fact, his reign started in 1917, not immediately as an emperor himself. He was first Prince Regent. There was a queen, the daughter of Emperor Menelik, but the power was in the hands of Regent. 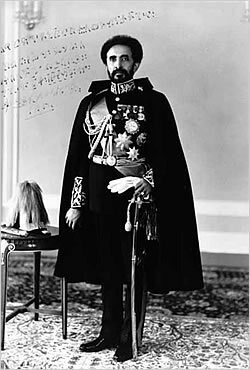 At this time he was Ras Tafari, and he became Haile Selassie upon his coronation in 1930. But, in fact, when he was Regent, he was the one to rule the country, and his reign finished in 1974, which means he was the ruler of his country for nearly 60 years, one of the longest reigns in the 20th century. F.F: Exactly, if not to colonize the country properly, at least to control everything. It didn’t work out because Haile Selassie was a very smart ruler and he had other allies, including the Americans and some Europeans countries just to pull and push and fight against the British. By 1952, the British completely left the country. F.F: It’s deeply related to the victory of Adwa in 1896. As I told you, many countries sent ambassadors to Ethiopia. And it happened that the tsar of Russia sent an ambassador to meet Menelik II. And as a gift, he sent 40 brass instruments and a music teacher. Menelik decided to use them as his royal music. In this sense, the same thing happened in Ethiopia, a non-colonized country, as was happening in the rest of colonized Africa. The European colonialist introduced army bands because they were present. It was through the army bands that modern music started. First of all, they play marching music in the European style, but then the local musicians try to adapt their own music and musical culture with these Western instruments. And that’s the way, all over Africa, modern music, meaning local music played with Western instruments, started. Everywhere, you can see the same thing. Even in many other countries, in Asia, in South America. All this modern music is linked to military music. You find this in Jamaica. The Adwa victory was also a kind of starting point for the development of modern music in Ethiopia. The repertoire of the musicians at the time was limited to the marching music, national anthems of various embassies: France, Russia, America, England, etc. The teacher was probably a Polish guy; his name was Milewski. And this guy tried to teach the Ethiopians to perform marching music. It was quite difficult, because, in Ethiopia, to be an artist, to be a musicians, is something like to belong to a cast. The traditional musicians, known by the name azmaris are considered as a cast, as they are a bit outside of the society. An average Ethiopian will never play music, you see. Still this type of cast exists nowadays. The way that they look at a musician is a bit despising. They have a very ambivalent position in regard to them. So, they like them for the jokes they can tell, the freedom of speech they have, the way they use double meaning in their songs. But they wouldn’t like their children to get married to such a musician. To set up this marching band, it was a bit difficult to find the right people to blow those instruments. They used to invite people from the Southern provinces, considered almost as slaves; very dark, black people, whereas the average Amharan or Tigrean, who were the dominant population, were quite light-skinned. There was this kind of racism within the country itself. We have to wait about 20 years to see the development of modern music. In 1924, Ras Tafarai, before he became Emperor Haile Selassie, went on a diplomatic tour on Europe. His first stop was Jerusalem, because for Ethiopians, Jerusalem is a bit like Mecca for the Muslims. Every respectful Ethiopian should be a pilgrim to Jerusalem one day. So before he went to France, England, Sweden, Italy, and Greece, he went to Jerusalem just to go to the tomb of Christ. And he was welcome there by a marching band of young Armenian orphans. This was a few years after the genocide of the Armenian people in Turkey. They were spread all over the region and some landed in Jerusalem. Ras Tafari was amazed by these musicians and immediately made a deal with the Armenian patriarch in order to send them to Ethiopia to become the new royal music. And when he came back from his tour all over Europe, he took them from Port Saïd to Addis Ababa. 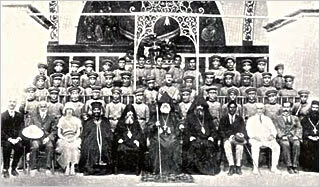 These forty, again forty, young Armenian orphans became another royal music. Still nowadays, they are known as “Arba Lidjoch” in Amharic, the Ethiopian language, “the forty kids.” The Forty Kids had a music teacher, Kevork Nalbandian. After Kevork, other Nalbandians will come to come to teach Ethiopian musicians, and in the 50s, 60s, early 70s, the nephew of Kevork, Nerses Nalbandian, will become a core person to develop modern music. F.F: Yes, especially Kevork Nalbandian, and already his kids were much better than any other Ethiopian musicians when it came to playing marching music. 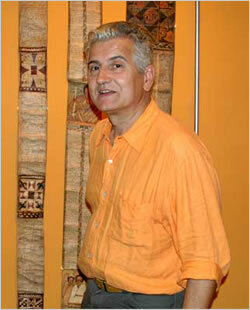 But this music teacher, Kevork Nalbandian, also was the one to write the new national anthem of Ethiopia, for instance. From 1924 until 1974, during those 50 years, the Ethiopian National Anthem had been written by an Armenian. Kevork Nalbandian lived his whole life in Ethiopia and died in the late 50s or early 60s. Then came the Italian invasion, and everything was frozen again. F.F: Yes. They had an official contract of four years, while they were performing with this music director, Nerses Nalbandian. 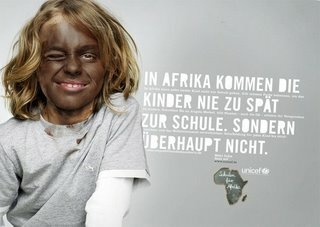 And other music teachers were also invited to come to Ethiopia, a Swiss by the name of Nicod, for instance. But with the Italian invasion, nothing could continue. Everything was disbanded. The very serious thing which will announce the blossom of the 50s started right after the war. After 1941, Haile Selassie started to reorganize all the military bands, inviting new music teachers to come. He developed Imperial Body Guard Band, the Police Orchestra, the Army Band. There were many, many institutional bands, all related to governmental institutions. Apart from the military music, they began to develop pop music, dance music, light music, and by the late ‘40s, we hear the emergence of pop music, traditional songs played with a brass section. The real blossoming of that would be 1955, because The Haile Selassie Theatre was inaugurated that year. We can say that from 1955 to the fall of Haile Selassie in 1974, those twenty years were the golden years of modern Ethiopian music. F.F: He wanted, just like every other African country, to have a marching band, just for demonstration. Also to welcome the various ambassadors, protocol for visits. But on top of that, he used to organize, in the palace, Western classical concerts. It happened that, between 1944 and 1948, one of these musical teachers who came from Europe, Alexander Kontorowicz, was a schoolmate of Jascha Heifetz, in the musical school of Vilnius in Lithuania—just to show the level of some of these music teachers. Before he came during these four years to reorganize the music of Ethiopia, he had been responsible for 12 years for the music of King Fuad in Egypt. So you see, there were very strange influences coming into Ethiopia’s modern music. F.F: It was totally under his control. Probably not what ended as Ethiopian pop, but he was totally responsible for the development of this military music firstly, and secondarily, light music. As I mentioned, he used to organize these concerts of Western classical music, but also the Haile Selassie Theatre, the Agher Feqer Theatre, which was a kind of national theatre of Ethiopia, started to develop popular music, with singers, which was something new for this country. 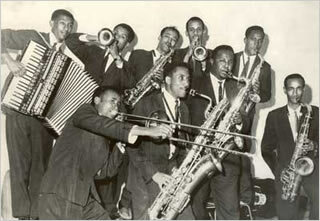 In front of these big bands, Ethiopian singers started to sing. It wasn’t any more military music, instrumental music; it becomes Ethiopian songs, arranged by all of these music teachers, coming from abroad, teaching themselves Ethiopian arrangements. So, little by little, the Ethiopian influence in this music was stronger and stronger. Also, we have to keep in mind that after the Second World War, in Ethiopia, like everywhere in the world, the biggest influence was the American big band, Glen Miller and the like. If you consider what happened in Europe, in France, in particular, everybody was listening “In The Mood,” or these kinds of songs. Everywhere, you could see the development of these big bands, playing more or less American music, or local music with influences of jazz big bands. And because there’s this tradition of marching bands with big horn sections, the Ethiopian big bands appeared immediately. You had big civil bands with 10, 15, 20 players, incredible horn sections. This gave the real blend of modern Ethiopian pop music. Until the fall of Haile Selassie in 1974, you could feel this influence of the horn section, coming from the jazz band influence from America post the Second World War. F.F: Not at all. The azmari remains the azmari, all the time. They are wandering singers, minstrels. They come from the deep countryside, mostly the Northern Provinces, Gondar, Gojam, Welo. And they are wandering minstrels, just like we had in Europe in the middle ages. They have their own instruments—mostly a one-stringed violin with a bow—and they sing everywhere they see some people they can get money from. It can be a party, a wedding, a seasonal festival. F.F: There are many similarities. When there is a market, every time there are people, they go and sing, praise them to get money from them. Or they can joke with them. They are very famous because, in this country, there’s a hierarchy, because it has been an empire for so many centuries. It’s a feudal regime, in fact. There is no special freedom of speech, and these azmaris, these minstrels, are the ones who are in charge of this freedom of speech. Under the conditions, their lyrics are not open; they must use double meaning in their critiques, for instance. They can criticize the king, the princes, the high people, but not openly. The most famous azmaris are the ones who find the nicest joke, the nicest double meaning. This is very important because we have to know that in Ethiopian culture, they don’t pay so much attention to the music itself. When I say music, I mean the melody, the sound of the instruments. They are fond of, first of all, lyrics. It was something very special, in this culture, to develop instrumental music, or big bands. The main thing, more than a great melody or a great voice, is what the lyrics mean. That is true still today. F.F: Almost everywhere. For instance, take the case of Mahmoud Ahmed. Mahmoud Ahmed was not born a singer. He did not belong to a family of azmaris. He was just working in a nightclub where his father had a small job. And it happened that one night, in the early 60s, the singer of the local band was absent, so he said, “Can I try to sing with the band,” and, immediately, the musicians said “Wow, nice voice. We’ll integrate him into the Imperial Body Guard Band.” So, it could go like this. Among the high people, there is one who is quite important. He was the famous General Tsegue Dibu, and the head of the police in the ‘50s, and he was a music lover. He himself played cello. And he wanted the Police Orchestra to have a great string section. So what he used to do, was, in the street, seeing some kids without jobs, he’d ask them if they wanted to work. He’d take them to the Police headquarters, clean them, give them food, new clothes, and schooling, and he would try to intensively teach them cello, violins, things like this. Nobody was basically willing to become a musician in Ethiopia. It had to start with such ways. But the musicians were not recruited from the azmari cast. Not at all. F.F: Yes, of course. But also, keep in mind that all these bands were institutional, were depending on the will of the king, the emperor. All of them belonged either to the army, to the police, to the Haile Selassie Theatre, to the Imperial Guard, Police Band, Haile Selassie Theatre Band, Army Band. These people were on salaries. So it was quite a comfortable situation. It’s not everybody who used to have work, a job, payment, salary. When you are in such a band, you have security also. F.F: Oh definitely, because they have a monthly salary, a quite normal job, even if it’s music. It’s only in the late 60s that independent bands start to rise. We still have to consider the period in time, post Second World War. 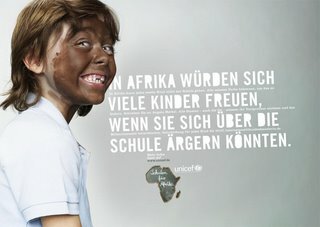 It happens in Ethiopia what happens everywhere in the world, in America, in Europe, in Asia, everywhere. 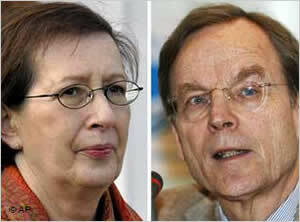 There is the baby boom generation, the generation born after the war who became teenagers in the late 50s, early 6os. Together with this generation, rock and roll came, along with electric guitars, rhythm and blues, soul music. It was a real musical invasion of the world. For the very first time, you could listen to more or less the same music everywhere in the world, even if the original music came from American or Europe. So you could find some Ethiopian James Browns, Ethiopian Elvis Presleys, but always with a local blend, something special. They were not only simply copycats. Ethiopians are so nationalist, almost chauvinist sometime. They are so proud of their culture they need to inject Ethiopian culture in with the Western influence. It’s not only Western influence that invades Ethiopia, it’s also Ethiopia who uses Western influences. 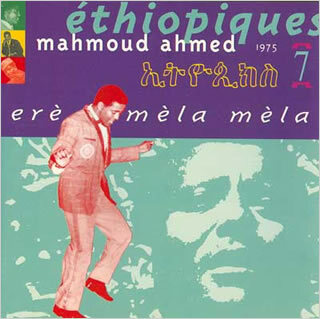 And when you listen, for instance, to singers like Mahmoud Ahmed or Alèmayèhu Eshèté—who is probably the best example of this outrageously Western influence, when he sings like James Brown—there is always something deeply Ethiopian. But it happened in Ethiopia what happened in Europe or in America. There are deep conflicts between generations, because this new generation, these baby-boomers, they crash in some ways, the traditional cultures of each and every country. This was also my generation, and I remember, when I was a teenager, the fights that I had with my parents. I didn’t want to listen any more to accordions or old French singers Eddie Piaf and things like that. I changed my mind in the meantime, but at that time I was much more into Elvis Presley, rock and roll, rhythm and blues. Even if I didn’t understand anything that was sung in English. F.F: This started only in the late 60s. 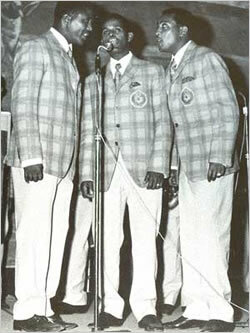 James Brown came in the picture in Ethiopia in the mid and late 60s only. F.F: Yes, definitely. Well, it doesn’t change overnight. When the first singers of these institutional bands started some very Western influenced rhythm and blues and soul music, and blended this with Ethiopian music, it was not accepted immediately. It was not a demand of the audience. It was the new generation, the youngest of the musicians, who heard about this music coming from abroad. And there are many reasons for this. Remember, it was a time of the Peace Corps Volunteers. 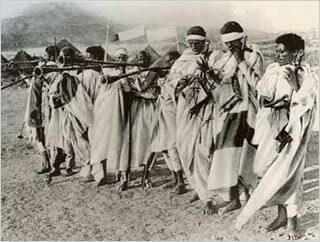 There were several thousand who come in Ethiopia, from the beginning of the 60s. Those youngsters brought with them their records, their guitars, their long hair, their bell-bottom trousers, many things like this. The fight between the generations was also through things like that—external to the music itself. But it was an ensemble of new ideas that was shaking the old society. And there was another phenomenon. The Americans had a military base in Asmara [today the capital of Eritrea]. This military base had everything, clubs, bars, its own radio, its own TV. They used to receive weekly all the charts from America: from Frank Sinatra to John Coltrane, from country music to James Brown. Through this radio, all the musicians based in Asmara and around could benefit from these influences, which they’d bring later to Addis Ababa, the capital city of Ethiopia. Many GIs, many young American militaries were musicians, and they played either in the military base, or downtown in the nightclubs of Asmara. So, on one hand, the Peace Corps volunteers, on the other hand, this American military base, well-equipped in all types of Western music up-to-date, plus the travelers, the Ethiopians who went abroad bringing back records. All of this used to feed the young Ethiopian musicians of the time. You find on some old records some funny covers of rock and roll, soul music, rhythm and blues. But again, in spite of this copying of American songs, musicians mostly developed something with a deep Ethiopian blend. One funny thing is, again, because they are so proud of their culture, so nationalist, so chauvinistic sometimes, generally about their own culture, their own country, they were completely closed to the influence of the African neighboring countries. F.F: At that time, not at all. F.F: Nothing. I would even add, Haile Selassie was a political genius who made Addis Ababa the capital city OAU, Organization of United Africa in the 1960s. It meant that embassies from all of Africa were suddenly opened in Addis Ababa. With this kind of diplomatic invasion of Ethiopia, we could think or expect that many influences from other Africa nations would settle and develop in Ethiopia. Nothing like this. Not at all. They were very reluctant to adopt other cultures. They felt much closer to American or European music. This must be pointed out. Until very recently there were no African influences in Ethiopia. You could never listen that much music from lets say Zaire rumba, or highlife from Ghana and Nigeria, music from South Africa, from Senegal, Mali, nothing like this. This also is one of the very important reasons why Ethiopian music is so unique, so closed to itself. F.F: Little by little, it improved, mostly to answer the need of the audience. It was just young musicians who were real artists, I mean excited by creating new music. B.E: So it wasn’t everybody who knew about soul and stuff like that. In the late fifties, before you get to the late sixties. It’s only specialized people or people who’ve sought it out, and they are in fact changing the taste of the general public by presenting this new idea. That’s very interesting, because it is quite different from places like Zimbabwe where Western music was being played on state radio and audiences demanded local groups rock and roll and jazz and Frank Sinatra, Elvis Presley and all that. F.F: There was not a blackout on such western music. Not at all. But it was not national radio that initiated the development of western influence. It was mostly this new generation who wanted to leave the institutional bands, and create their own orchestra of 4, 5, 6, 7, pieces. Never mind this huge big band of twenty musicians and more. They wanted to have a set up just like the Rolling Stones or an American soul band. They wanted to imitate this. And they were closer to that than anything else. They were real artists in the sense they wanted to develop, to create something. To present to the general public this new thing, you see. F.F: He was a baby boomer himself. He had a music shop. He had started to import some of this rock and roll, rhythm and blues, soul, James Brown, and the like, in Ethiopia. Even the import of discs was something not really allowed. You needed a kind of visa to import. So after a few years, he said, “Why don’t we make our own discs?” The officials who are supposed to import and record and manufacture discs, they do nothing. At least nothing for this modern music. So, he took Alèmayèhu Eshèté and recorded a few 45s, one song on each side. He sent his master tape to India. Why India? Because as in many African colonies, there were many Indian merchants in Ethiopia. India was and still is the biggest producer of discs in the world. The discographic industry there is huge. So through this Indian merchant base in Ethiopia he sent his master tapes to India, and after a few weeks he received his 45s. It was a big deal, because the officials started to wake up. I mean when this disc of Alèmayèhu Eshèté, his first one, AE 100, came in Ethiopia it sold like crazy. F.F: ’69. Possibly late 68, but early 69. ’69 is a key year for all of these new things. Amha Eshèté had some problems with the authorities, but finally, the emperor decided let this youngster go ahead. F.F: We don’t know exactly. But he used to decide everything. Of course the official head of the Haile Selassie Theatre and the like, went to complain and say, “What this youngster is doing is against the law.” And finally, after some turmoil, which you can understand through the press at the time, they decided to drop it. And little by little, other producers came, but he remains one of the key persons for the real new pop scene in Ethiopia. F.F: Alèmayèhu Eshèté used to be a singer of the Police Orchestra. Mahmoud Ahmed and Tlahoun Gèssèssè, used to belong to the Imperial Body Guard Band. They all wanted to leave these institutional bands, but they were paid by the Police Orchestra or Imperial Body Guard Band. Sometimes at night, they’d leave the barracks and go to a nightclub and sing for themselves before some hip audiences, which brought them some problems. You know, they might go to jail 1 or 2 days because of this. But it was not a big deal. You know, very soon, by ’74, this regime is finished and dead. F.F: Yes and it’s difficult for us to imagine that because we have such a miserable vision of Ethiopia. We see this country as a cliché. As a kingdom of hunger and famine. F.F: Muluqèn Mèllèssè was one of the most famous singers in Ethiopia. He started to sing in the Police Orchestra by the age of 13, 14. As I told you before, they used to recruit youngsters to be members of the band, to teach them an instrument—they even had workshops for songwriting, arrangement, even dance. So Muluqen started in one of these institutional bands before he became an independent singer with his own band. He recorded beautiful masterpieces. What is unfortunate for music lovers, but respectable from his point of view, is that by the early 80s he changed his mind about that, and he converted to Pentecostalism, and decided to stop singing pop music. For music lovers it was a big loss, and he remains a big artist who recorded classics in Ethiopia, kind of standards. F.F: Tlahoun Gèssèssè is the singer in Ethiopia, the voice. Big T big V. He started to sing at the Agher Feqer Mahber, meaning Patriotic Association. It was a kind of national theatre, and he was very young, about 16 or 17 when he starts to sing in this institution. 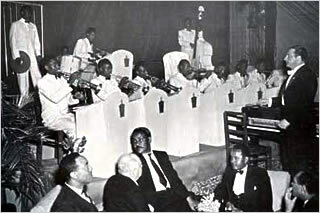 But very quickly he was taken by Imperial Bodyguard Band and he became the main soloist there by the late 50s. 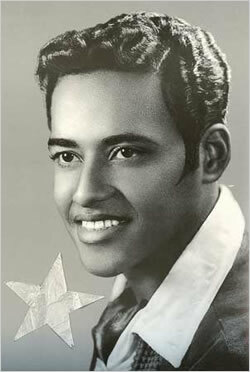 Since then until nowadays, he has been the most beloved singer in Ethiopia. He is a kind of icon. Everybody loves him. There are many other singers. But Tlahoun Gèssèssè is a core singer, even if he is not the most easy to listen to for western audiences. He has such a big powerful voice that sometimes you think it’s too much for a Western ear. He had dozens of imitators of course, but none with such vocal talent as Tlahoun himself. F.F: They have a name for this, sem-enna-werq, it means “wax-and-gold.” There is a wax meaning and a gold meaning. The wax meaning is the apparent meaning. Just a love song—you can take it as a love song. The gold meaning is something else. It can be a protest song. Somebody like Tlahoun, a member of Imperial Bodyguard Band, was in jail after ’60 because he had a song, a love song called “Altchalkoum,” that meant “I Can’t Stand Any More.” A kind of love story. “She left me I can’t stand any more”—in fact, I can’t stand any more of this regime. And after the failure of the coup d’etat, Tlahoun went to jail for a few weeks. Because by itself the Imperial Bodyguard was involved in the coup d’etat. All the heads of the Imperial Bodyguard were pushing the band to sing double-meaning songs, protest songs in some way. And if you are popular with this protest song, this double-meaning, you become also very popular. Because they could see through the way the audience received it, if the coup d’etat was popular, if they could go with the protest. If the protest song is popular, it means that everybody understands the protest of the singer. And there are many instances of this; this song is one of the most famous. F.F: Yeah there are different kinds of lyres, especially the krar which is played mostly in the North, a lot in Eritrea, less and less in Ethiopia, unfortunately. But there is one instrument which is unique to Ethiopia it is the begena. The begena is a big lyre, something like one-and-a-half meters. This instrument used to be played by the nobility, by priests and learned people. It was high society. You could not say that a begena player was an azmari. This was an instrument related to religion and nobility. Nowadays the nobility has disappeared, but the begena continues to be played. It was almost destroyed during the revolutionary period because precisely it was related to the nobility which the revolution had abolished, and related to the church, which the Stalinest government did not encourage. So , it has come back slowly through brilliant exponents like Alemu Aga for instance. And nowadays, for the most important religious period of the year, like Christmas, Easter, the radio plays extensively this type of music. But it is not the kind of music you can play during the mass at the church. It is not the type of music you can play in the church. It is played in religious contexts, but it is not an instrument of the church. F.F: It’s a kind of legend. It’s difficult historically to demonstrate it because it’s three thousand years. King David was supposedly a lyre player, you know, and as the Ethiopians claim they are descendents of Solomon and the Queen of Sheba, which is exactly 3000 years ago, it’s part of the historical legacy of the country. I’m not a historian but I’m not sure I would agree with this antiquity of the instrument. But it remains to be demonstrated on both sides. F.F: Mulatu Astatké is a very special case. It’s quite unique in the history of Ethiopia and Ethiopian music. He was not the first to be taught abroad, because 30 or 40 years before him, there was a lady who learned piano and violin in Switzerland. But as a modern musician, Mulatu was really the first to be taught abroad. He started his musical studies in England and then in New York, he attended also Berkelee College of Music in Boston. 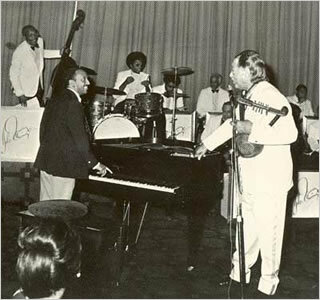 Later on, during his stay in New York, he was in touch with a lot of jazz men and Latin musicians. He was very fond of jazz and Latin music. He was one of the first Africans—this must be mentioned—to record modern African music in the early 60s. Before Manu Dibango, before Fela, and when he came back to Ethiopia in the late 60s, the modernist movement had started already. But he came in time to bring a special blend. Especially his jazz touch. He invented a style—Ethiojazz. But to tell the truth I’m not sure he was influential in terms of introducing Latin music to Ethiopia. I cannot say that the Ethiopian audience became crazy about Latin music, not at all. Again, they are so close to their own roots, if it is too much something from abroad they are reluctant to pick it. So we cannot seriously say that there was Latin invasion in Ethiopia, not at all. F.F: No, definitely. That’s why I say he is a unique case. He is a special case because he was the first to be put in such a position. When he came back to Ethiopia he put this in his own composition in his own arrangement. But it was not followed by the other musicians, I would say. It remains that the music that he has recorded at the time is simply gorgeous, great music. 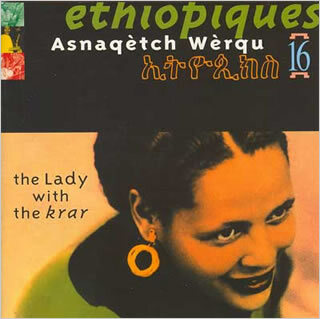 Just listen to Éthiopiques, Volume 4, Ethiojazz. For me, it’s a total masterpiece. There are some other musicians on this CD, who we should mention. For instance one of my favorite saxophonists ever in Ethiopia, by the name of Tésfa-Maryam Kidané. Actually he’s living in Virginia now for many years. He left Ethiopia to study at Berkelee College of Music in ’72 and he stayed and settled in America but he’s still active as a musician and is a gorgeous saxophonist. It’s amazing the level of inspiration those musicians had reached at the time. F.F: I mean again, what I’m saying about Latin music, I would say it also about Ethiojazz. Ethiojazz is the thing of Mulatu Astatké, he is the inventor of this style, and I cannot say that there are really followers picking the concept and trying to develop it. It’s simple to understand because he was exposed to the jazz culture, but the other Ethiopians were not. So it was difficult to develop the same thing, parallel things, you see? But again it remains the musical works Mulatu left from this period are simply among the most beautiful productions of the time. You know Ethiopian audiences, they don’t pick everything you play for them. They make their own choices. Of course, he is very respected in Ethiopia, no question about this. I think Ethiopians respect the fact that he was educated abroad, that he was a taught musician, a learned musician, which is not the case for most of the others, who just know music because they were in an institutional band or taught themselves. F.F: Yes. In fact he has recorded very few albums in his own name. 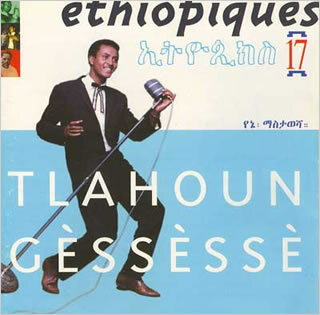 When he came back to Ethiopia he was more active as an arranger, and if you listen to Tlahoun Gèssèssè on Éthiopiques 17, I think it is, there are beautiful arrangements of classic songs by Tlahoun Gèssèssè, so he was very influential as an arranger. This is true. F.F: Gétatchèw Mèkurya. This is also a very special case. For me, it’s extraordinary. He started to play messenqo at first. And then when he was a teenager, he was recruited right after the Second World War with the Italians in the late 40s. 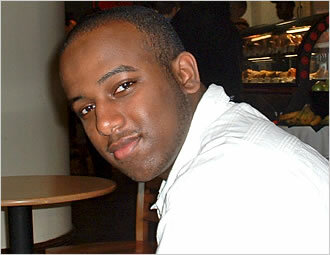 He was recruited by the Municipality Orchestra of Addis Ababa. The Municipality theatre had also its own theatres and bands, and very quickly he started to play saxophone. What is brilliant according to me, he has decided one day to transpose with his saxophone tenor, to transpose a traditional vocal style, of war songs. And when you listen to these war songs, known as shellèla fukara, which are shouting, howling, until you lose your throat—he did that with the saxophone. And the result is it sounds a bit like Albert Ayler and the like. And he started to blow like this by the early 50s, by 53, 54. So when I found his recordings, and checked the dates when he invented this style of music, as I am a music lover, not only of Ethiopian music—I know free jazz, and many other kinds of music—I could compare. But he himself doesn’t know who Albert Ayler is. And, by the way, he started to blow like him so many years before, almost 10 years before. So I thought it was good to point that out, how a traditional vocal style could lead to really modernist, avant-garde saxophone style. I think we have to pay homage to such blowers, because he has invented a form, in some way. He himself, again, has no jazz culture. He doesn’t know anything about Albert Ayler and the like. And the Ethiopians themselves, they love this style of saxophone, not because it is free jazz, but because it reminds them of the vocal style, the war songs. The shouting style. Again, this is nationalism. B.E: It’s boasting, right? It is the warrior saying how great he is. F.F: Exactly. It’s boasting. Boasting. And in the booklet of this CD dedicated to Gétatchèw Mèkurya, I have translated some of these war songs, some of these vocal, shelèlla songs. They are saying, “We will kill you. We will cut the balls off you. We will do this, and we will do that.” And when he plays this, each and every Ethiopian can hear behind the saxophone the lyrics to that traditional, war song. F.F: He is still around, and well. F.F: You know what is funny? One of the collateral advantages, I would say, of Éthiopiques is that now, some of these musicians are invited to perform in Europe, or elsewhere. And it happened that recently, Gétatchèw Mèkurya has performed with a free jazz big-band in Holland, crazy people. A free jazz band. And they are simply crazy about Gétatchèw, and Gétatchèw feels at home with them. So sometimes, there are incredible meetings like this, and I’m very pleased that the release on Éthiopiques of his music drove him to meet such musicians. He really feels at home with them. He enjoys so much to blow. Who is the one who will boast the loudest? And musically, the result is incredible. F.F: Oh, yes. There is no problem. The Dutch, they play free jazz. The Ethiopian blows war songs. Aesthetically, formerly, it’s very, very close. So there is no problem to meet you. No problem at all. F.F: Asnaqètch Wèrqu. She is a krar player, and a singer, but she started her artistic career as an actress, a theater actress, in the early fifties. At this time, to be a woman, and to go on stage, was worse maybe than to be an azmari. Just like in many cultures, including ours. In France, until the late 19th century, early 20th century, theater actresses were considered almost as prostitutes, you see? So she is a pioneer. She established that a woman could be on stage and be an actress. And also, she was a krar player and singer, very famous for her double meaning poems, even though she doesn’t have an azmari family background. She belongs to this culture, and she knows how to handle the double meanings of the lyrics. And because of this, as I told you, the more brilliant you are using the double meanings in your lyrics, the more beloved you are by the audience. And she was very good at that. During more than 30 years, she is to be a very beloved singer and krar player. She still lives in Addis Ababa. A Landlocked Economy: (Being Landlocked). Geography matters for developments. Ethiopia is located in an area of political fluidity and changing alignment that it is a logical object of international and regional attention. The Geo-political environment, the Arab Israeli conflict, the opening of the Suez Canal, the strategy of making the Red Sea an Arab Lake, the OPEC cartel and oil politics, growing religious fundamentalism, American and Israeli strategy in the Middle East and the Horn of Africa, etc. has always affected Ethiopia. In most cases on the negative. This means Ethiopia for generation finds itself in a passionately contested political, economic and religious questions causing armed conflicts, frequent wars and acute tensions. In the midst of all these, Ethiopia since time immemorial trying to keep its access to the sea while others tried to deny it and control the costal line. In addition internal conflict and power struggle as well as the dynamics of neighboring countries like Djibouti, Sudan, Somalia (three Arab and Islamic League countries) and recently Eritrea have affected the outcome of Ethiopia access to the sea. The lack of access to the see will have a strong impact on Ethiopia’s economic, political and strategic interest, economic welfare and prosperity, its alliance and support system in the international forum, access to trade, technology and military equipments. Eritrea is no more the external trading outlet for Ethiopia. Landlocked Ethiopia relies on Djibouti port for about 98% of its international trade, although such heavy dependence leaves it vulnerable to factors beyond its control. Moreover, the two countries remain in dispute over several issues, including Ethiopia’s request for “through-bill of landing”, to give cargo more straightforward and quicker passage to dry inland ports. Djibouti had previously promised to implement the scheme, but has delayed doing so because of pressure from its own traders, who fear being excluded from their profitable middle-man role. To try and reduce reliance on Djibouti, Ethiopia reached agreement with neighboring Somaliland in 2005 for increasing the use of Berbera port. Somaliland is the relatively peaceful northern part of Somalia that has declared de facto independence, although this is not recognized by the international community. However, Ethiopia and Somaliland legalized bilateral trade in August 2003 and established customs posts. Berbera will be used for both goods and fuel—the port has an oil terminal—although the quantities are likely to remain small in the short term, pending new investments at the port and in the limited road network linking Somaliland with eastern Ethiopia. Ethiopia has also started using Port Sudan and has just finished the construction of a high grade road that connects Northern Ethiopia with Sudan leading to Port Sudan. This will also have a significant geo-political and economic impact in the triangular relations of Ethiopia, Sudan and Eritrea. Being landlocked clips around half a percentage point off the growth rate of a country (Jeff Sachs). 38% of the people living below poverty line are in countries that are landlocked. However, being landlocked does not necessarily condemn a country either to poverty or to slow growth, eg. 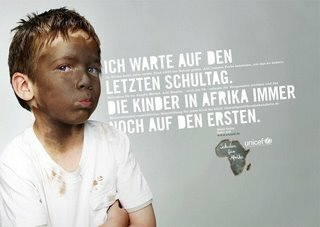 Switzerland, Austria or Luxembourg or Botswana. Landlocked countries incur much higher transport cost. The transport costs for a landlocked country depends upon how much its coastal neighbor had spent on transport infrastructure. This means landlocked countries are hostages to their neighbors. Ethiopia currently is to Eritrea. Zimbabwe’s access to the sea depends upon South African and Mozambique’s infrastructure, whereas Ethiopia’s access to the sea depends upon Eritrea, Sudan, Kenya, Djibouti or Somalia which makes the difference. If you are landlocked with poor transport links to the coast that are beyond your control, it is very difficult to integrate to global markets for any product that requires a lot of transport. This impact negatively on manufacturing – which to date has been the most reliable drive of rapid development. Being both resource-scarce and landlocked, along with having neighbors who either do not have opportunities, Ethiopia is pretty well condemned to slow lane of growth due to lack of access to the sea and massive external import-export transportation in the long run. . This marked development harder. So what can landlocked Ethiopia do? Improve joint transport infrastructure and joint policy decisions with Djibouti, Kenya, Somalia and Sudan. d) Become a haven for the region: Working to become the regional business service center. Create a good policy environment. Make sure that Ethiopia set policies clearly superior to those of its neighbors, to attract these sources and export them, around the region. Explore the possibility of becoming the center of regional goods that are highly policy sensitive such as finance. Continue working on Djibouti in investing to service Ethiopia’s external trade. Use Mombassa to serve the Southern Part of Ethiopia. 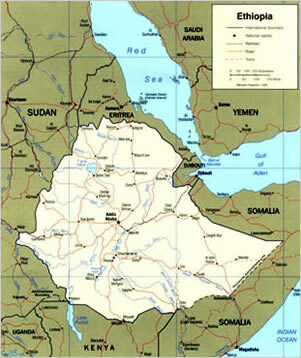 Use Berbera to service South Eastern Ethiopia and continue to use Port Sudan too for North and northwestern Ethiopia even if is not totally reliable due to frequent change of alliance and possible sabotage from EPLF. e) Don’t be air locked and E-Locked: Air transport is much more important than it used to be. Explore region wide low cost air service in a form of cross cutting companies with others. f) Have the potential to deliver rapid economic growth for the region by being both competitive and cooperative. Eg. work on twin pillars of being competitive in E-service and having good telecommunications infrastructure that can service the sub region. Develop hydro electric potentials that can provide sustainable and reliable energy to the countries in the sub region. Provide skilled man power by producing high skilled workers through intensive training. Southern Sudan, Djibouti, Kenya, Somalia and even northern Sudan can be effective markets. g) Economical remittances: Ethiopia is experiencing substantial emigration. This can be turned into some advantage through enabling and encouraging the Diaspora to send large remittances by way of investment as well as support to family members. Maximizing remittances depends upon several steps. Keep educate people in the Diaspora so that they are employable in higher income economies rather than simply as unskilled workers. Make your banking and exchange rate system competitive. h) Create a transparent and investor - friendly environment for resource prospecting. 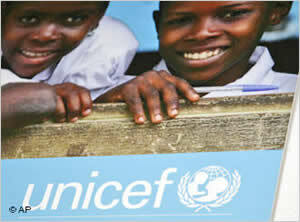 - Host country’s governance of the economy and resources . Haile Gerima is an independent filmmaker of distinction who has served as a distinguished Professor of film at Howard University in Washington, DC since 1975. Born in Ethiopia, Haile is perhaps best known as the writer, producer and director of the acclaimed 1993 film Sankofa. This historically inspired dramatic tale of African resistance to slavery has won international acclaim, awarded first prize at the African Film Festival in Milan, Italy, Best Cinematography at Africa’s premier Festival of Pan African Countries known as FESPACO and nominated for the Golden Bear at the Berlin Film festival where it competed with other Hollywood films. In addition the film captured the imagination of huge audiences across the United States, many who waited in long lines and filled theaters for weeks on end. In so doing, the film defied the notion that signing with mainstream distributors was the only option for filmmakers to have the public see their films. Guided by an independent philosophy, Gerima practiced an innovative strategy in distribution whose success remains unprecedented in African American film history. What inspires this filmmaker is a tireless devotion to the art of independent cinema and the vision of a uniquely innovative cinematic movement that stresses a symbiotic relationship between African Diasporan artists and community. The success of Sankofa has allowed Gerima to begin to create an infrastructure to pursue this vision. His film center, located in the heart of the African American community at 2714 Georgia Avenue in Washington, DC, represents one of the real manifestations of the dream he has for independent African American cinema. 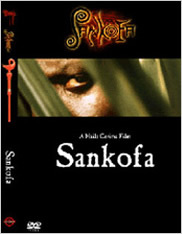 While a number of productions are currently in production, two documentary films have been completed since Sankofa’s distribution and the center’s opening in 1996. 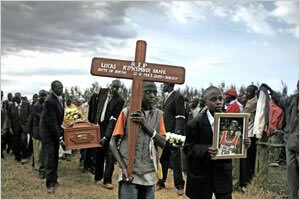 In 1997 Haile co-produced, with his partner and confidante Shirikiana Aina, Through the Door of No Return. Its focus is the emotional journey Africans in the diaspora make to Ghana to reclaim the lost memories of a distant traumatic past and the experience of a Pan African consciousness inspired by Kwame Nkrumah’s open invitation after that country’s independence. 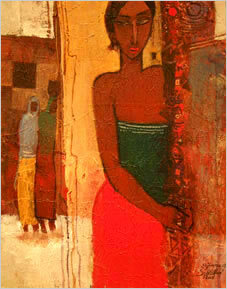 Work on the second in the series with a focus on the history of the Pan African movement is presently in progress. 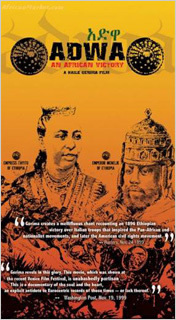 In 1999, Haile completed the first in a series of documentaries commemorating Ethiopia’s 1897 defeat of Italy at the Battle of Adwa in Adwa: An African Victory. It has had enthusiastic screenings at the Venice Film Festival, the London Film Festival and Sithengi: The South African Film and Television Market. This film has also had screenings in Washington, DC, New York and San Franscisco as well as other cities across the United States. The second film in the series, The Children of Adwa: Forty Years later, presently being edited, recreates the Emperor Haile Selassie’s stoic defense of Ethiopian sovereignty in the face of fascist Benito Mussolini’s brutal attempts to avenge his country’s earlier defeat. Haile is also at the development stage with a five-part series on Maroons, inspired by audience questions about the role in of these African freedom fighters in American history and as portrayed in Sankofa.. He believes this exciting work will address a glaring omission in the knowledge and thinking of Africa in the Americas and will utilize the expertise of international scholars, thinkers and filmmakers in its presentation. 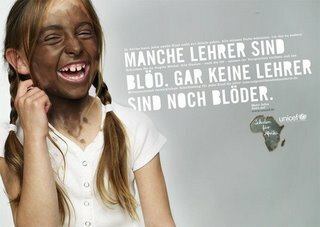 Gerima’s latest dramatic film is TEZA set in Ethiopia and Germany (2004-05). This film, currently in production, chronicles the return of an African intellectual to his country of birth during the repressive Marxist regime of Haile Mariam Mengistu and the recognition of his own displacement and powerlessness at the dissolution of his people’s humanity and social values. In addition to his work on films about Africa and the Diaspora, as well as fulfilling his responsibilities as a full Professor of Film at Howard University, Haile Gerima also lectures and conducts workshops in alternative screenwriting and directing both within the United States and internationally. He has also conducted numerous workshops in the new South Africa and in 1995 he was invited to the British Film Institute to serve as a fellow. He is generous, giving his knowledge and expertise to a large population of students and is heavily invested in the notion that the filmmaker must be engaged in a constant process of self-reflexivity and learning along with the community he serves. Haile Gerima’s training as a filmmaker can be said to have begun in Gondar, Ethiopia, the place of his birth, where he sat around the fire engrossed in the tales told by parents and grandparents. His father, a dramatist and playwright who traveled across the Ethiopian countryside staging local plays, was perhaps his greatest influence, nurturing a love of the art in young Haile. In high school he would himself direct his classmates in end of semester productions before leaving to study at the Goodman School of Drama in Chicago and later at the University of Southern California at Los Angeles (UCLA). It was at UCLA Haile recognized film as a medium which could help communicate some of the social and political ideas he and his peers were exploring at the time. During the late 1960s, social protests and revolutionary fervor in the developing world and African American struggles for civil rights would challenge young filmmakers and other artists alike to make their education and their works of art take on social relevance, especially in their own community’s struggle for social justice. While the teaching establishment ignored their concerns, their activism, fueled by intense study and critical discussion in study groups would forever shape Haile Gerima’s lifelong vision to create films that raised the social, political and historical consciousness of African people. It was also where he developed a keen interest in experimentation with the formal elements of the art form. His first film Hour Glass (1972) is the story of a young basketball player contemplating his fate as a gladiator. Child of Resistance, completed in the same year, was inspired by a dream he had of Angela Davis’ incarceration and the challenges she posed to African Americans to sustain the historical continuity of resistance against white supremacy. Community concerns are again the inspiration for another powerful yet intensely poetic film set in urban America. In Bush Mama, completed in 1976, Dorothy, an African American woman living on welfare in Watts, California, struggles to raise her daughter while her partner is unjustly imprisoned. The film’s political aggression provides audiences with a cinematic experience that is hard to ignore prompting The Washington Post to insists “‘Bush Mama’ is a picture that must be seen…This film crackles with energy. Fury shakes every frame.” Twenty years later The Society for Cinema Studies would celebrate this film, convening a special panel to discuss the importance of its cinematic style. The same year after the completion of his thesis film, marked the release of Harvest: 3000 years, a film that gained the distinction of being selected as a Critic’s Choice for screening at the prestigious Cannes Film Festival. Following the festival the film would go on to win the George Sadoul Award. The film’s international reputation was again celebrated when it won the Silver Leopard (Grand Prize) at the Locarno Film Festival in Switzerland and the Grand Primo Award at the Festival International de Cinema at Figueroa da Foz in Portugal. In the USA it garnered the Oscar Micheaux Award for the best feature film at the Black Filmmakers Hall of Fame. Variety magazine describes the film simply as “remarkable”. Set in Ethiopia, Harvest is the story of peasants exploited by a wealthy landowner and their dignified struggle resist the feudal overlord. The filmmaker’s experimentation with form is clearly evident for a film that lasts 150 minutes long. The magazine journal Cineaste comments: “Gerima’s camerawork in Harvest is at its most lyrical. The hypnotic images of fields and valleys, and the slow panning shots of the land and sky, evoke a sense of viewing an epic silent documentary”. Yet Gerima’s interest in cinematic form is not restricted to drama. His foray into the documentary in 1978 with the film Wilmington 10, was as intense an exploration of form and content as his treatment of the fiction film. Looking at the ongoing persecution of political prisoners and the American justice system, the filmmaker’s approach views the cases of the accused within the socio-historical and economic disenfranchisement of African American peoples and their relationship to national and international struggles. In a review of the film “The Black Collegian” described Haile Gerima as “…a powerful filmmaker, gifted at inciting emotion and riots in the guts of his viewers.” In dramatic form, this documentary captures the humanity of a people who have been under constant siege for generations and passionately shows how this present generation locates their place in the historical struggle. Again the engine of history provides great impetus and becomes a legitimate source of healing for the lead character in Ashes and Embers, a Vietnam veteran who suffers from post war trauma. 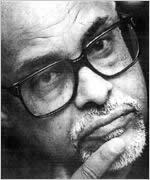 Of the 1982 film “The News World” in New York described it as “…a soaring film…a harrowing portrayal of one former soldier’s struggle to leave the war behind” and the Village Voice proclaimed Gerima “…as among the most interesting and original narrative filmmakers on the current scene.” He would later be honored two years later with a retrospective of his films at the Festival De La Rochelle in France, alongside older, more seasoned filmmakers. After Winter: Sterling Brown (1985) is Gerima’s documentary tribute to the famed poet and literary critic. Made in collaboration with students from Howard University who served in major roles, “Gerima’s film lets its illustrious subject take the viewer on a journey laden with literary landmarks and historical anecdotes” says New Directions magazine. More importantly, the poet laureate of Washington D.C. serves as oral historian, and represents an archive for future African American generations much as the filmmaker himself perceives his role. Sankofa represents a watershed period in terms of Gerima’s experimentation with form. From its initial screening at the Berlin Film Festival in 1993 to the critical reception of the film’s commercial release in South Africa in 2003, this film has thrilled critics and audiences throughout the world. Yet any assessment of the success of the film Sankofa would be incomplete without considering his previous films, their funding and the strong ties Haile Gerima has developed with the African American community. The latter is responsible for the formidable presence of this community at the box office for the film when every major distributor in the United States ignored it. Soon after the successful independent distribution of Sankofa was completed, Gerima undertook the BBC commissioned film “Imperfect Journey” in 1994, exploring the political and psychic recovery of the Ethiopian people after the atrocities and political repression or “red terror” of the military junta of Haile Mariam Mengistu. The filmmaker questions the direction of the succeeding government and the will of the people in creating institutions guaranteeing their liberation. This idea of identity and liberation is perhaps the defining goal for Haile Gerima and his vision for an independent cinema. To tell one’s story is to place one’s name on the map of history and to do so while honoring the struggle of ancestors is critical to ensuring future generations have the documentation to create their own blueprint of survival. The history, culture and socio-economic well being of all peoples of African descent is his primary concern but above all the preservation of their humanity is the greatest motivation for this filmmaker. At this point of his career Haile Gerima acknowledges that the goal of reclaiming story in the battle of ideas remains his most enduring passion. That passion and the philosophy that guides it are also articulated in his writings on cinema. He is the published author of numerous essays and articles and is the author of a forthcoming book on the making of Sankofa. Alfred Ilg was a Swiss craftsman, who emerged as Emperor Menilek’s principal diplomatic adviser, and ranks as one of the most important Europeans in Ethiopian modern history. A. Ilg travelled to Ethiopia with Three Compatriots. In the meantime we can say that Ilg was born in Frauenfeld, north-east of Zurich, Switzerland, in 1854, and studied at the local Zurich Polytechnic. Later, in 1878, he set forth for Ethiopia, in the company of two of his compatriots, by name Appenzeller and Zimmermann. They came at the request of Menilek, then King of Shawa, who had asked a Swiss trader at the port of Aden to find him some European craftsmen able to act as engineers and train Ethiopian workers. On his arrival in Shawa, Ilg, we are told, was asked by Menilek to make him a pair of shoes. The young Swiss dutifully complied with this request, and Menilek was enchanted with the visitor’s handiwork. 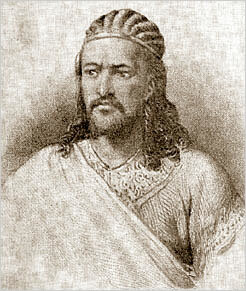 Menilek, who doubtless recalled how his predecessor and sometime master Emperor Tewodros had persuaded European missionaries to cast him cannons and mortars, then asked Ilg to make him a rifle. The Swiss, like the above mentioned missionaries, protested his ignorance of gun-making, and declared that an imported weapon would be much superior to anything he could himself produce. Like Tewodros before him, Menilek, however, insisted. He declared that he wanted to see what Ilg could do. The latter accordingly did as he was asked, and duly made a passable rifle. This greatly pleased the monarch, who ordered it to be given an honoured place in his armoury. Ilg had thus gained Menilek’s good-will, and was never to lose it! He was therupon appointed a craftsman, attached to Menilek’s staff, and was granted a monthly salary, payable in Maria Theresa thalers, of seven or eight pounds Sterling per month. He was soon engaged in all sorts of work for Menilek. Bridge-building: One of Ilg’s first achievements was building a modern bridge over the Awash River, in 1887. Describing this work, he writes to a friend: A few weeks ago I completed the first bridge… It spans the river Awash. The beams had to be carried 15 kilometres on human shoulders. For the bridge-heads I had to square up the stones on the spot. I even had to burn charcoal in order to forge the nails, rivets, screws and bolts required. Add to this the tropical sun with all its dangers, heavy rains with resultant dysentery, intermittent fever, cyclones which almost pulled out my beard and carried the tent in all directions. At night the hyenas almost stole our leather pillows from under our heads; jackals and other rabble plundered the kitchen and obliged me to obtain respect with strychnine”. A few years later Ilg erected a palace for the monarch at his then capital, Entoto, situated, as most readers know in the mountains above present-day Addis Ababa. Piped Water: Later again, in 1894, Ilg installed the water installations for the Emperor’s palace at Addis Ababa. This created something of a sensation, as the water, obtained from a spring in high Entoto, had to flow down to the Addis Ababa plain beneath it, and then make its way up again to the Palace compound, which was located on a smallish hill. People in the capital had never seen anything like this, and could not believe that water could ever, under any circumstances, flow upward. Menilek, however, was a great believer in innovation, and insisted that Ilg should proceed with his project, if only to see whether it would work. When the great day for inauguration arrived, the tap was turned on - but nothing happened. A European “friend” had secretly stuffed cotton into the pipe, as Ilg later discovered. This obstruction was duly removed, after which Ilg - and his project - were widely acclaimed. At least two Amharic poems were composed in honour of the event. “We have seen wonders in Addis Ababa. O Danyew [i.e. Menilek] what more wisdom will you bring? “King Abba Danyew, how great is he becoming! He makes the water rise into the air through a window. While the dirty can be washed, and the thirsty drink. See what wonders have already come in our times. 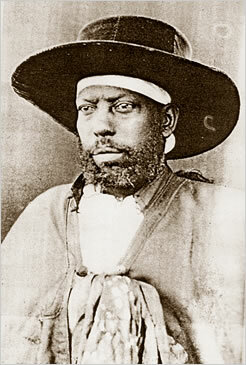 The Railway Project: Menilek himself was so pleased with his Swiss technician’s success that he granted Ilg a concession, on 9 March 1894, to build and operate a railway line from the French Somaliland port of Jibuti via his capital (Entoto) to the White Nile, on the western borders of the realm. The railway project faced almost insuperable difficulties, technical, financial, political, and diplomatic, but Ilg eventually succeeded in establishing a railway company, which constructed the line from Jibuti to the then new town of Dire Dawa (reached in 1902), after which a successor company continued the line to Addis Ababa. The latter town had by then replaced Entoto as Ethiopia’s capital. The projected line of the Nile was, however, never built: why don’t we build it now? The Addis Ababa Palace: Ilg also helped in the construction of Menilek’s main palace at Addis Ababa, which was begun in 1897. Testimony of his involvement is provided by a contemporary British traveller, Mrs Pease, who reported seeing “many signs of Swiss work”, including paintings of a Swiss lake, and William Tell’s chapel. 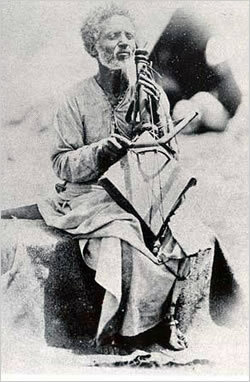 Expeditions: Ilg accompanied Menilek on several of his expeditions, including one to Tegray, in 1889-90, and another to Lake Zway, in 1893. He also attempted, though without success, in 1887, to purchase bullet-making machinery, and equipment for a mint. He likewise travelled to Rome, in 1891, where he met members of the Italian Cabinet, and then, after a second visit in 1894, warned Menilek of Italian ambitions to annex Ethiopia. Diplomacy: After Menilek’s historic defeat of the invader, at the battle of Adwa in 1896, there was a great expansion of Ethiopia’s diplomatic relations between Ethiopia and the outside world. Menilek appointed Ilg as a Chancellor of State, and gave him the exalted title of Bitwoded, or Beloved. He was made responsible for Ethiopia’s foreign relations. His duties were to interview foreign diplomats arriving in the country, and to conduct correspondence with foreign Powers, and envoys, on Menilek’s behalf. Ilg was linguistically well equipped for this work, as he was able to write in German, French, Italian, and English - and also in Amharic. He corresponded, over the years, with several important Ethiopians. Besides Emperor Menilek and his consort Empress Taytu, these included Negus Takla Haymanot, the king of Gojjam; Ras Makonnen, Menilek’s governor of Harar; Abba Jifar, the semi-autonomous ruler of Jimma; and Abuna Matewos, the Coptic head of the Ethiopian Church. Ilg also exchanged letters with such prominent Ethiopian personalities as Ras Gobena Dachi, Dajazmach Mashasha Workie, and the renowned interpreter Ato Yosef Negusie. 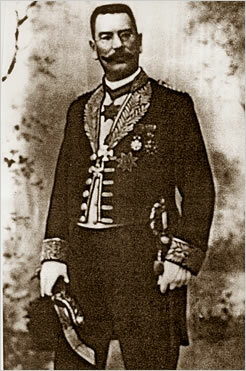 Ilg, in his diplomatic capacity, played a prominent part in the negotiations with the Italians, leading up to the post-Adwa Peace Treaty, of 26 October 1896 (in which Italy recognised Ethiopia’s full independence), as well as with the subsequent treaties with Britain and France, signed on 14 and 20 March 1897 respectively. And subsequent agreements with other Powers, including Germany and the Ottoman Empire. Trusted: Though a foreigner Ilg was well trusted by Menilek, who was of course fully aware that Switzerland was a small neutral, and land-locked, country without colonial ambitions. An essentially safe country to do business with! Ilg served Menilek, with loyalty and devotion, for twenty years, but retired from the Emperor’s service in 1906, just when the monarch’s health was beginning to fail. After he left Addis Ababa his house, situated near the Emperor’s palace, was for a time used to accommodate Ethiopia’s first modern school, the Menilek II School, which was founded in 1908, but soon afterwards removed to its present site at Arat Kilo. Ilg meanwhile returned to his native Zurich, where he lived on until 1916. He died that year of a heart attack on 7 January: Ethiopian Christmas Day. He came to the United States of America as a toddler in 1995 and today he’s a 16 year old social entrepreneur. Yes, this teenager is Samuel Gebru, a talented Ethiopian living in Cambridge, Massachusetts who has probably done more for Ethiopia in his young life than many adults. Who is Samuel Gebru and why is he important? Samuel plans to be a catalyst for change. He heads an American nonprofit, The Ethiopian American Youth Initiative, which strives to promote Ethiopian culture in the US, unite Ethiopian and American youth to raise funds for Ethiopian developmental projects concerning women and orphans, as well as to serve as a platform for networking between Ethiopian and American youth as a means to find the “inner leadership” that Samuel is convinced hides in everyone. Mr. Gebru is an avid Ethiopian, concerned with Ethiopia’s social, political, economic and youth affairs. He shows his concern through the many websites that show his work including his very own blog and his work through African Path, an online African portal for bloggers. Interestingly enough, Gebru’s article on Ethiopia’s land policy gained the attention of Mr. Michael Strong of Flow Idealism in his post: Gebru vs. Sachs, who wrote a commentary on Gebru’s views on the land policy and Sach’s recent visit to Ethiopia in January 2008. He’s already garnered the attention of Ethiopians throughout the world. Through his youth work, Samuel simply amazed Mr. Seyoum Mesfin, Ethiopia’s Foreign Minister and Mr. Kassahun Ayele, the former Ethiopian Ambassador in Washington, DC. Samuel proposed an idea which would bring all Ethiopian youth together, disregarding the political, socioeconomic and religious boundaries: The Worldwide Youth Embassy of Ethiopia. His plans for the Youth Embassy of Ethiopia are unprecedented - which includes that the Youth Embassy of Ethiopia should be headed by an official Youth Ambassador and if this plan materializes, Samuel is slated to become the world’s first official youth ambassador. He continued to state that Ethiopia’s youth have always had horrible relationships with Ethiopia’s Governments since the 1960s. “During the time of Emperor Haile Selassie the youth were the ones who engineered calls for political reform, this eventually led to the fall of his government and the rise of a military administration that would plague Ethiopia,” he adds. He was disappointed that Ethiopia’s main opposition coalition was in disarray, “Let’s remember that the Coalition for Unity and Democracy, the CUD, was formed shortly before the May 2005 elections. In such a rushed environment, the parties which formed the coalition did not hammer down all of the important factors, party due to the short-sightedness of a few officials who had their own agendas�It’s unfortunate that the CUD has become divided to the point where I can’t even begin to tell you who the Chairman of the party is: is it Ayale Chamiso, Temesgen Zewdie or Hailu Shawel?” While he chucked when asking such a question that he categorizes as rhetorical, Samuel acknowledged, “there are elements in every political party in Ethiopia - EPRDF, CUD, whatever it may be - that are hell-bent on destroying Ethiopia for their own purposes and I think as Ethiopians we cannot let that happen to our motherland. From our elected officials and rebels, both good and bad sides exist, and what we must do, as a nation, is bring out the good so that national reconciliation can actually happen and not simply be a framework for utopianism.. For instance, opposition parties are given a field day every month for 30 minutes to set forth anything they wish on the agenda. How is 30 minutes in one month going to be effective, at any rate for political parties? The system must be accommodative because I cannot foresee any benefit from a mere 30 minutes. Samuel Gebru, with a clashed personality of Ethiopianism and Americanism, is the ideal Ethiopian to head a youth-led revolution; however, instead of taking up arms, Samuel plans to have youth take charge of their own lives and become leaders in Ethiopian society. As for now, he’s waiting from the official response from the Ethiopian Government as to if his plan can materialize. To enhance his idea, Samuel was invited as a Special VIP Guest of Foreign Minister Seyoum Mesfin, in which he met with the Foreign Minister and Ethiopia’s State Minister for Youth and Sports, Mr. Abdissa Yadeta, two youth associations and paid a visit to the Addis Ababa Fistula Hospital. “My business trip to Ethiopia in August 2006 certainly helped me gain attention, and ever since then, I’ve been using this attention to emphasize the fact that we youth all are leaders and regardless of what’s next, I will continue to push for a youth-led revolution of Ethiopia’s political and social culture. I encourage dialogue and enjoy when people contact me because I am also able to learn their side of the story. The time has come for change, and youth are, what we call in Cambridge: change agents! And there you have it, the 16 year old Ethiopian you might be calling “Mr. Prime Minister” sometime in the future. *The author can be reached by email at yohannes.birru@gmail.com. Samuel Gebru’s email is smgebru@gmail.com.